If Leona Helmsley were in purgatory and she had a free pass to spend an hour topside, would she do a cabaret? It’s a great premise. You’ve got to hand it to Alex Lippard for thinking that this would be a timely moment to wonder how a nasty, larger-than-life New York real estate mogul could come to be so influential, even though she evaded taxes, didn’t pay contractors, and was known for publically humiliating and then firing employees. At the time of her most visible presence, in the 1980s and ’90s, the imperiousness and short temper she flaunted in the media spotlight were unusual; now she’d probably either just blend in on a reality show or be in public office. 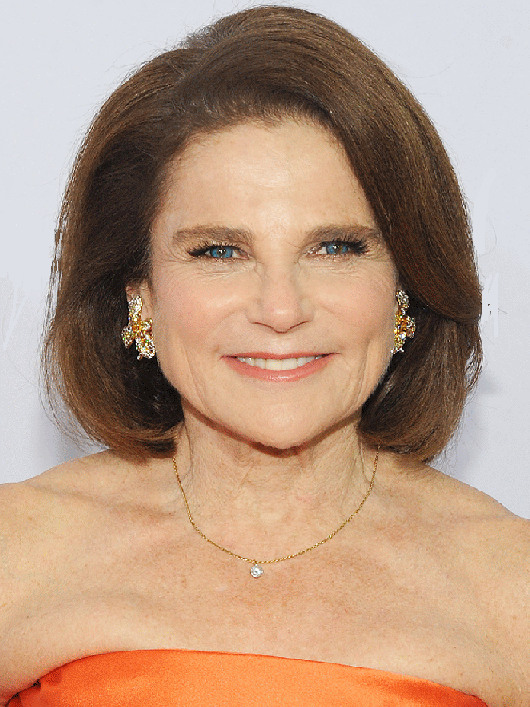 In Tovah is Leona!, recently at Feinstein’s/54 Below, the masterful actress Tovah Feldshuh made Leona come to life—everything from rendering the disapproving pull of Leona’s lips in her later years, to recreating a slight curve in her upper spine, the New York accent, the surprising streak of sensuality, and the brash belter voice that surely would have been her sound if she’d ever sung. Both Feldshuh and Leona are mesmerizing and fearless, and both demand an audience. 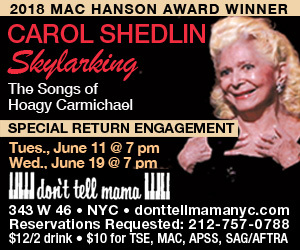 This cabaret presentation was a step along the way to a full-length Broadway musical (conceived by Lippard), which, like Ransdell Pierson’s unauthorized 1989 biography and the 1990 biopic, is titled The Queen of Mean. The conceit of the cabaret show was that the full-length musical was being developed on the spot, with “Leona” yelling notes to “the boys” on the creative team (but refusing to learn the name of her pianist-musical director—poor James Bassi). It was a fabulous addition to the performance to have her codependent, criticizing, and micromanaging throughout. Jeff Harnar’s direction of the acting choices was spot-on, and the book by Lippard and David Lee had many funny moments. The musical structure was somewhat puzzling. The original songs (by composer Ron Passaro and lyricist David Lee, with additional lyrics by Lippard) were almost all introduced by excerpts of well-known songs. The intent of this was a little unclear. Perhaps the purpose was to suggest pop culture irony, or make references to cabaret, itself; nonetheless, it often became difficult to listen to the new material with fresh attention. Preceding the new song “My New York” with “On Broadway” (Barry Mann, Cynthia Weil, Leiber & Stoller) was a fairly effective use of this device, as it contrasted magical fictional New York with the city’s gritty realities and established what Leona would be up against as a real estate developer. However, using Leiber and Stoller’s “Jailhouse Rock” as an introduction to “A Woman Has Her Pride/Stand Up Straight, Leona” didn’t enhance the story of how Helmsley steeled herself to get through her eventual prison sentence—and if the creators are using anachronistic references, they missed a few chances for Martha Stewart or Orange Is the New Black jokes or even taking the interesting risk of trying one of the many hip-hop songs about doing time. Coming right before a medley of three new songs (“Something in the Air,” “On Top of the World (Harry),” and “The Helmsley Way”), “9 to 5” (Dolly Parton) and “Private Dancer” (Mark Knopfler) are such iconic songs associated with their very own divas, that they started to distract and take us out of the specifics of the show’s plot. Where the original material really shone was in the villain manifestos. “Mama’s Comin'” prepared employees and audience members for Leona’s wrath. The “The Queen of Mean” poem (Harnar) was a comic turn in which Leona owned the nickname—setting up potentially saucy rhymes and then demurely sidestepping them. The satisfying rhythmic attack of “The Helmsley Way” (from the longer medley discussed above) deserved its own moment of focus—it’s a patter song performed by Feldshuh in the character of Leona’s husband, Harry Helmsley; tellingly, it’s one of the only additional characters she didn’t call out to the creative team to have cut from her show. I applaud the creators’ humanist impulse to paint Leona as a well-rounded person, showing her abiding love and passion for Harry, her affection for Trouble (her pet dog, famous for having been bequeathed $12 million), her hard work, and some of her philanthropic gestures—which we could cynically mention were probably also tax breaks. But I do think the piece as a whole would be stronger with a laser-sharp focus on her as a villain—exploring the many comic and politically-resonant aspects of that—before revealing her softer side. Feldshuh is such a three-dimensional actor that we see shades of determination and tenderness in every mean moment anyway. Besides, I’m not convinced that Leona deserves major sympathy from us, but you can be the judge of that on her next, sure-to-be-entertaining, vacation from the afterlife.